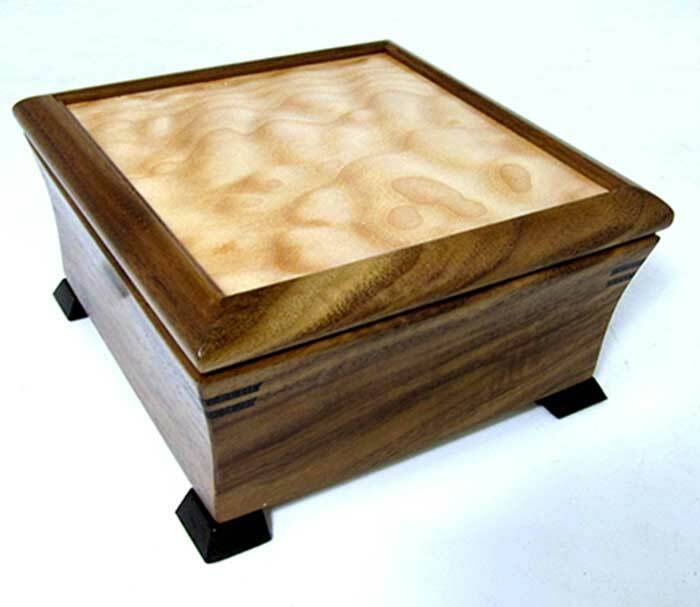 Exquisite handmade wooden jewelry box by Mikutowski Woodworking in Bolivian rosewood (shown) with a maple top, wenge accents and a wood inlay design on top. (Inlay design may vary based on artist's choice.) Top section features hand polished brass necklace racks and a silk pouch in the lid and a self-rising jewelry tray. 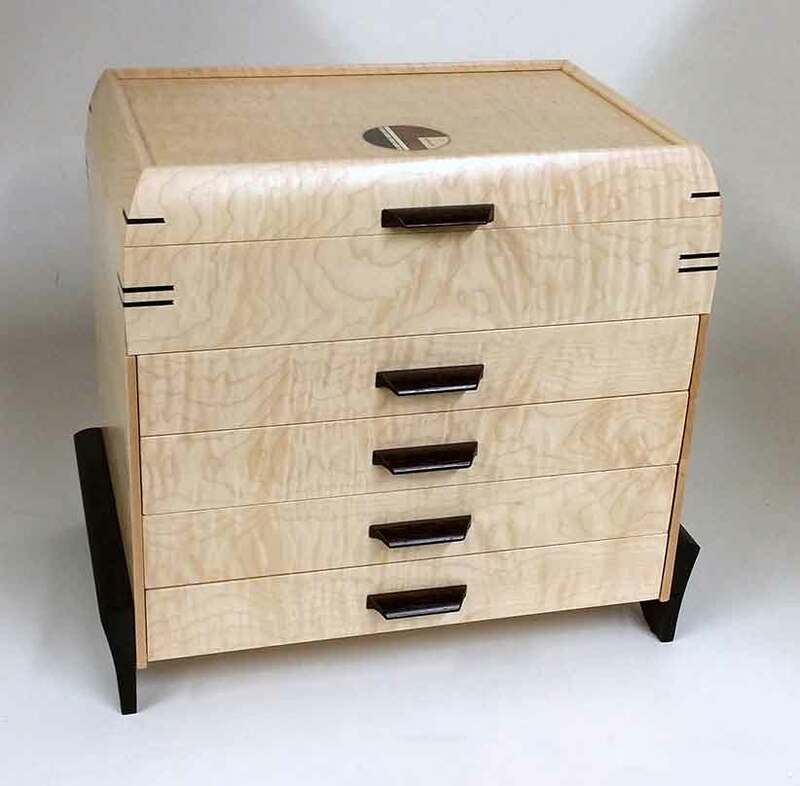 Also available in African bubinga, birdseye maple, cherry and curly maple. Size: 13.5" x 9.375" x 7"